King Saul—the spear thrower who teaches us that half-hearted repentance is not repentance at all! 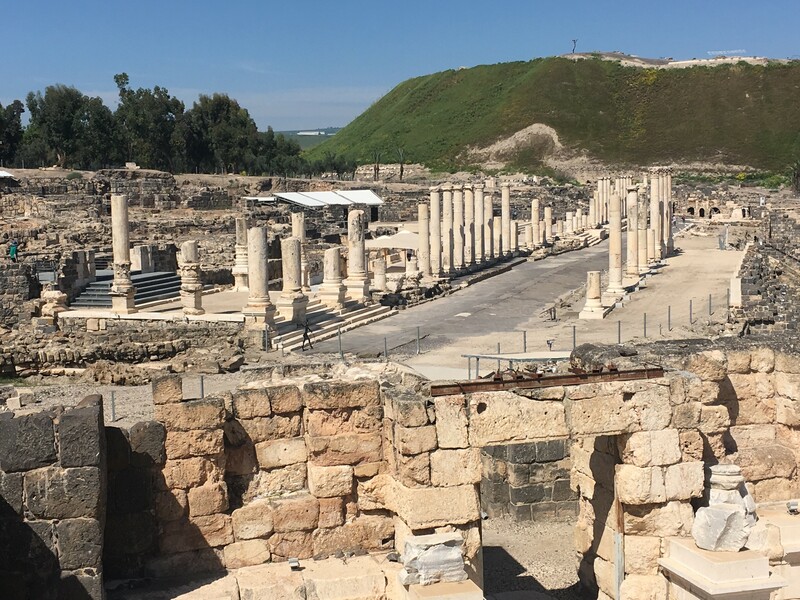 Today we visited the ruins of Beit She’an in Northern Israel, a city forever associated with King Saul, whose mutilated body was hung on the walls by the victorious Philistines. A study of Saul’s life yields a treasure trove of psychological insight. He repented five times, but no sooner were his tears dry than he went back to his sinful ways. At least twice he threw a spear at David, intending to pin him against a wall. But David, to his credit, did not throw the spear back, but ran and recruited others to protect him. For ten years Saul pursued David, but in the end Saul turned out to be a loser and died by suicide. Why did God allow Saul to pursue David for so long? Someone has suggested it was to take the Saul out of David’s heart. God uses spear throwers to humble us, to cause us to wait on God. For it was in those days when he was pursued by a spear thrower that David wrote, “I will bless the Lord at all times his praise shall continually be in my mouth” (read Psalm 34). Other Psalms also were written during this trial in David’s life. If you are being abused, get help. Don’t try to reason with a spear thrower, and don’t become a spear thrower yourself. God can use a spear thrower to show us our own sin and depend more directly on His grace. After all, there is a little bit of Saul in us all. As we toured the ruins of Bait She’an, Saul was on our minds. We were reminded that for some people only death will end their penchant for throwing spears. In death there are no spears left to throw, but only a God to whom we all must give account. Catch the irony: Saul the spear thrower died by falling on his own spear.